All those in attendance will be given a special blessing towards the end of Mass. Anointing of the Sick will take place during the Mass. 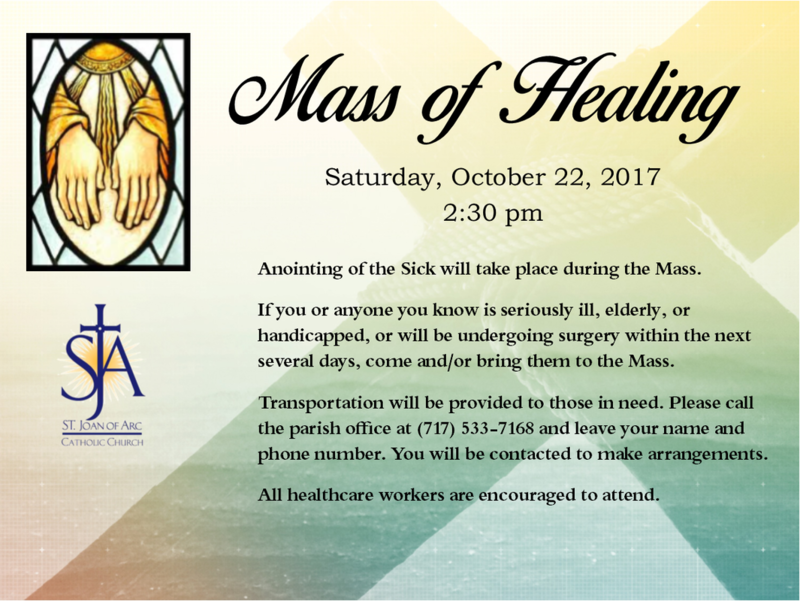 If you or anyone you know is seriously ill, elderly, or handicapped, or will be undergoing surgery within the next several days, come and/or bring them to the Mass. All healthcare workers are also encouraged to attend and you are encouraged to wear your uniforms. Transportation will be provided to those in need. Please call the parish office at (717) 533-7168 and leave your name and phone number. You will be contacted to make arrangements.